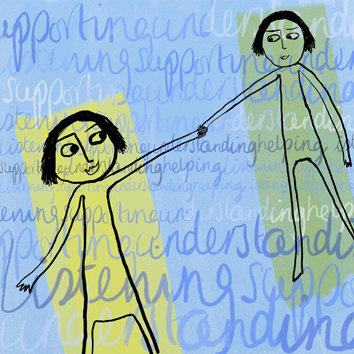 Peer support is what we do! Special Holiday Celebrations to share food and friendship. Consumer Workshops with speakers on topics of interest to people living with mental illness. 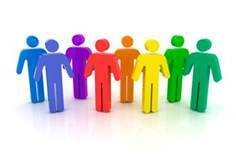 Focus Groups to give people living with mental illness a voice in the mental health system. The “WE CARE” program is a consumer/survivor outreach program providing peer support and personal care items for mental health in-patients, in a one-to-one contact with a consumer volunteer. 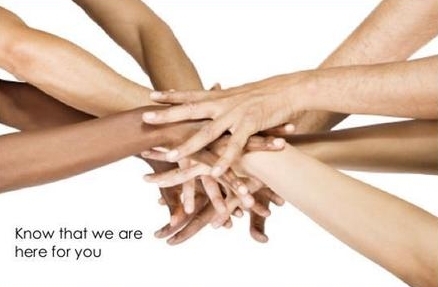 “WE CARE” was modeled on other successful peer support programs. Often a patient is admitted in a state of crisis, and some patients do not have access to soap, shampoo and other necessities. Others are about to be discharged, and need a packet to take home. A trained H.O.P.E. 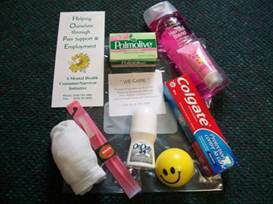 consumer/survivor staff or volunteer takes bags of personal needs items and information about peer supports in the community to share with mental health inpatients at Brant Community Healthcare System. Any inpatient on the mental health unit can self-identify and meet with the volunteer/staff for personal care items, information and/or peer support. H.O.P.E. staff/volunteers attend every Friday at the Brantford site. This support is also provided through the week as needed. Support is offered from one mental health consumer to another and to help create linkages to peer supports for when a patient is discharged from hospital. Meetings are held in a private room to make the person feel comfortable. Since its inception on November 18, 2004, the “WE CARE” program has been a great success, providing packages and peer support to thousands of consumers of the mental health system. The feedback from consumers has been very encouraging that this program is much needed and well received. The consumer to consumer connection is the heart of this program. 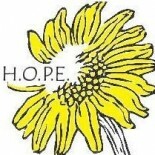 Anyone interested in more information or in becoming a volunteer can call the H.O.P.E. office at 519 751-1694. 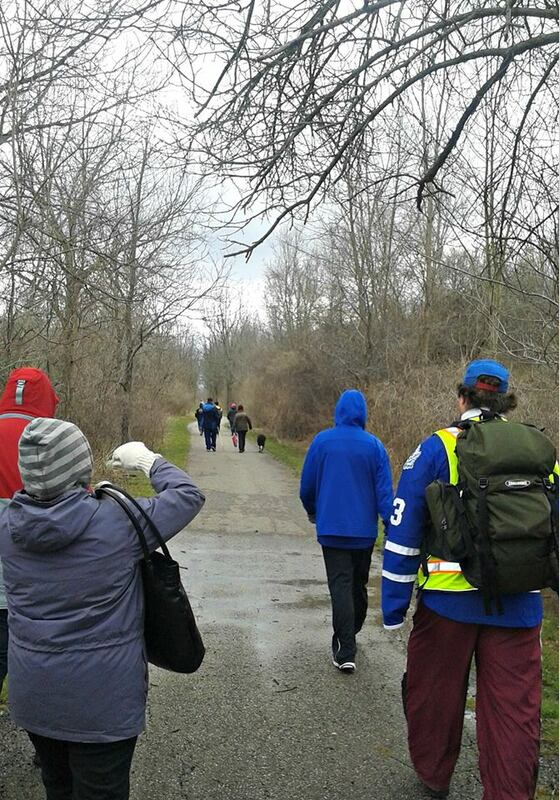 Mood walks is an educational and fun walking/hiking group in Brantford, Ontario for people living with mental health issues. 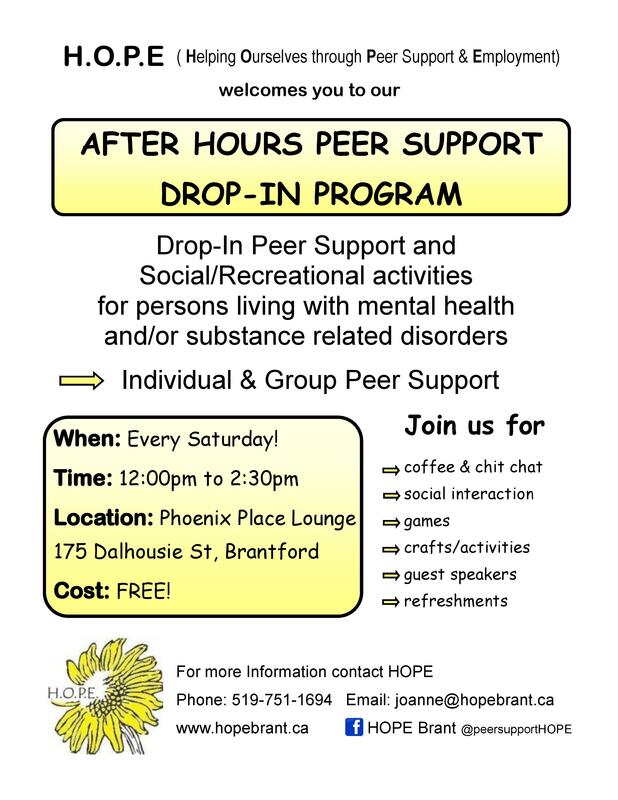 It is a joint activity of CMHA Brant Haldimand Norfolk and H.O.P.E. Are you interested in walking to improve your mental health? Then Mood Walks is for you! Mood Walks promotes both physical and mental health by encouraging group members to be physically active. Participants take part in group walks on local hiking trails and at various Grand River Conservation Areas all over the Brant County area. Spending more time outdoors in nature has been proven to increase mental well-being. Members learn about nature and safe hiking practices while exploring some of our city’s 70 km of beautiful trails. Mood Walks is offered year round on Tuesdays. In summer, walks/hikes take place from 9:00 a.m. to 12:00 p.m. In other seasons, walks/hikes take place from 1:00 p.m. to 4:00 p.m.
Meeting new people and engaging in great conversation can only offer more! Best of all it’s free!! 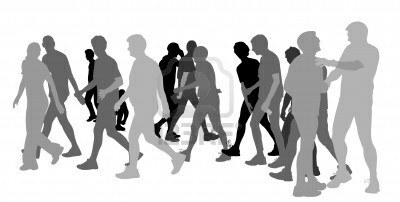 Mood Walks Group will meet at the Alternatives Activities Centre, 20 Darling Street Brantford, Ontario, unless otherwise notified. For further information and other inquires please call Brent Goodnough, at 519-752-2998 Ext 131.